Little Wooden Dragon Small Stacking Boxes Y..
Little Wooden Dragon Rainbow Building Set t..
Little Wooden Dragon Figures for Counting a..
Little Wooden Dragon Rattle - Heart II (812..
Little Wooden Dragon Tangram Orange with Bo..
To play the game: The pieces are set out and shared between 2 players. 3 or 4 pieces have to be placed in one row horizontally, vertically or diagonally. Each player gets a point for a row. The winner is the one with the most points. 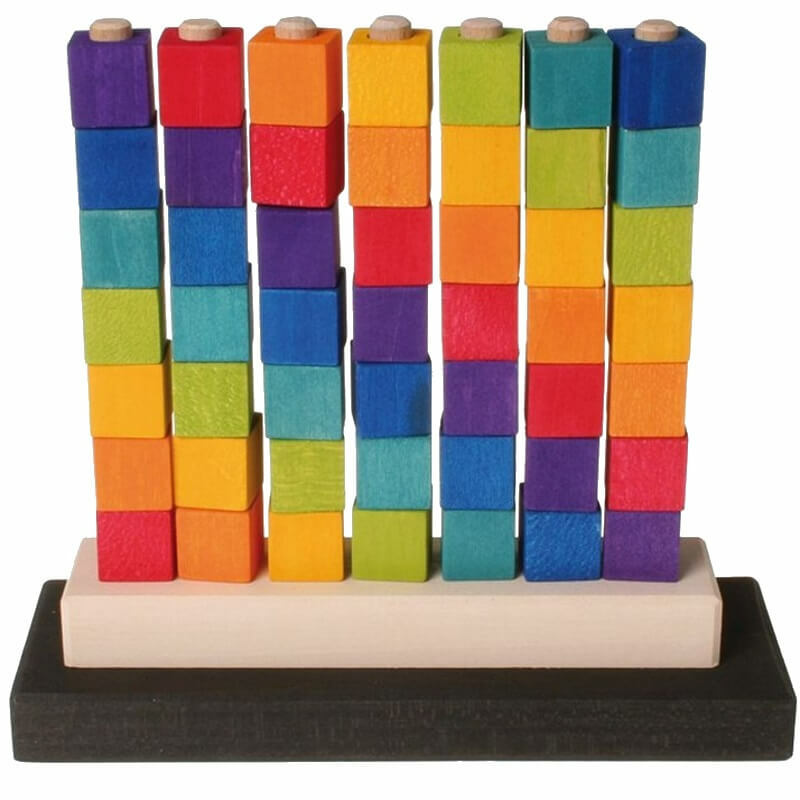 Also great for open exploration, great for sorting colors making patterns, counting and more.